The <Imperial Accord> represents the 9th Imperial Fleet and the 21st Imperial Infantry Brigade, which fall under the Sphere of Military Strategy. Though we maintain a mil-sim structure for immersion, our event focus is actually on intrigue, including intelligence gathering and security missions as well as covert strikes. 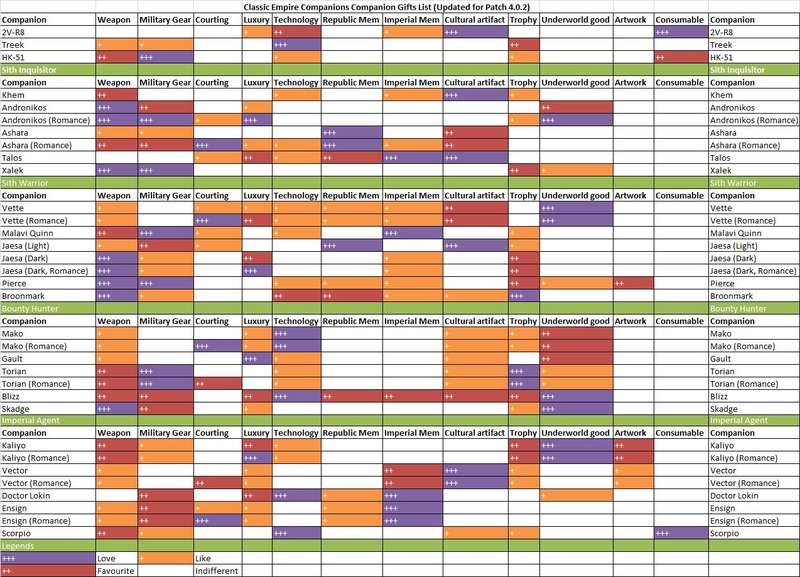 We pride ourselves on prioritizing immersion through adherence to lore and guild spaces built for maximum RP function. Our combat system is one of the few to prioritize utility and noncombat aspects, giving agents and contracted specialists a chance to shine. Our 11 major story arcs we've run since 2015 have established a proud tradition, but our future lies in the hands of today's membership. 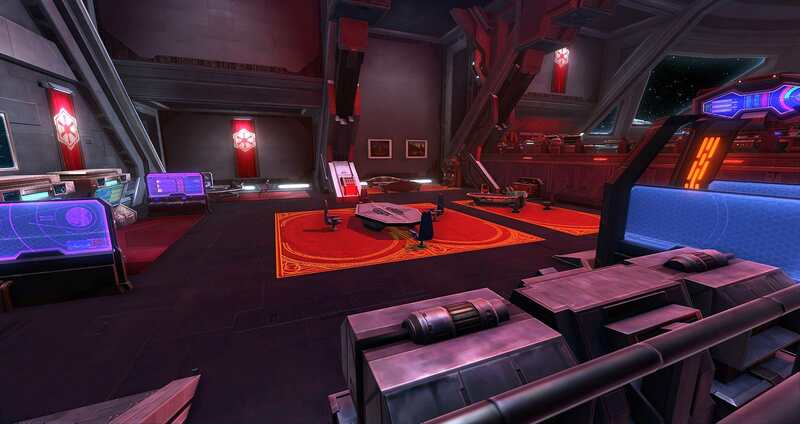 Our two darths also maintain private agendas, maintaining their own networks on Dromund Kaas, Nar Shadaa, and Denon, reflected by additional Strongholds. We have a fully unlocked guildship and use the ship on the Rishi Stronghold as an additional flagship for our second naval battlegroup. Though we focus on our members' stories and that of the overall Accord, we also maintain ties with the community, welcoming alts and inter-guild RP. What else is different about us? Our smaller size allows those who join now to really participate in our guild core. We're active and friendly in guild chat and in Discord! We welcome Sith acolytes, apprentices, lords, soldiers, agents, naval crew, mercenaries, and contracted specialists such as slicers, doctors/medics, technicians, and investigators. One of our darths maintains ties in Hutt Space, one in private sector weapons production, and one of our lords maintains ties with the criminal underworld. There are many ways to join us! 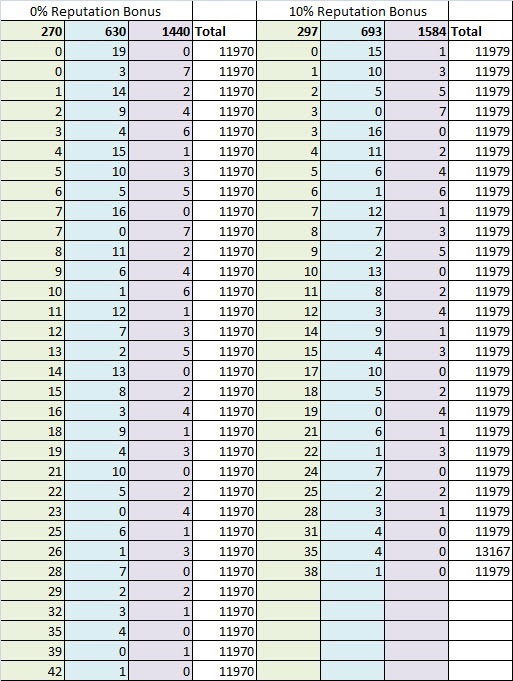 Though we're small now, we've been around for years, and we were once one of the largest Imperial RP guilds. We learned that size isn't everything, but we're still known in the community. We run events that range from training, Force instruction, operational planning, and intrigue missions. We use our guild ship to represent our Harrower, the Resurgence, which belongs to Darth Malice. We use the Rishi Patrol Carrier as a BSX-5 Dreadnaught named the Defiance, which is owned by Darth Valias. Especially seeking either an agent or contracted slicer. Sith lords and apprentices who have graduated from an Academy are welcome. We call apprentices without masters "Adepts." Here is the script from our last event in our first guild story arc. The story generated a lot of events and countless hours of RP! The Order decided to use information from Jay'daa—a Jedi they captured from their rival Republic Task Force and turned—regarding SIS Officer Ren Korvus' base on Hoth to plan an attack. Jay'daa had informed Darth Makiao and Lord N'yssa of the layout of the base, warning it had a single entrance and was well-fortified. In answer to Makiao's query on Korvus' location, she replied he was not always at the base. Following a scouting mission, she told Lieutenant Colonel Kalianya that the base—which housed the advanced Mark 2 Infiltrator Droids developed by the Republic task force—was on full alert. It had at least 50 of the advanced droids and the best commandos in Korvus' network. Jay'daa did not see a way to attack the base without dealing with the droids indirectly. Darth Talorn briefed the assault plan to the Order aboard its new flagship. Kalianya added that the plan was to infiltrate a small two- or three-person team into the base—using Jay'daa's knowledge of the layout—to locate and eliminate Korvus, as he would have the remote that controls the droids. If he was absent or could not be found, they could go after Lyda, Korvus' slicer, instead. Jay'daa had warned that Lyda would have changed the droids' remote command interfaces and re-encrypted them. It was assessed that the ranking Jedi, Solaria, would not be at the base because Korvus' strict protocols decreed that the lead SIS officer and senior Jedi should never be at the same location. A primary strike team would wait to enter the base until after Korvus was engaged. The flagship would offer orbital bombardment support to take out outside turrets and defenses. Lord Manluas gave a speech to bolster the group's resolve and they headed for the landing shuttles after arriving to Hoth from hyperspace. Darth Mhorbane, Darth Talorn, Lord Manluas, Major Kvelt, Captain Sorien (though not online), and Rynn stayed aboard the flagship, with Lord Manluas commanding the bridge. Darth Makiao and Lord N'yssa led an assault team, and Lieutenant Colonel Kalianya and Jay'daa made up the infiltration team. Kalianya and Jay'daa made their way into the base in stealth, with Jay'daa strained to keep the two undetected by any Jedi on the premises. They located Korvus, surrounded by two commandos. Kalianya easily dispatched one commando with her blade from surprise, while Jay'daa injured hers. Kalianya stabbed Korvus with a special poisoned blade made by Rynn, while Jay'daa finished the other commando. Korvus, after suffering attacks by the two, attempted to lockout the remote and destroy it with his pistol, but Kalianya desperately kicked it from his hand, and Jay'daa used the Force to pull it into her hand, Korvus then shot Jay'daa point-blank with a scattergun and took her out of the fight. He died from Kalinya's poison, with Kalianya cutting her comms and beheading him. The main strike team watched the base from behind cover in the howling wind. They spotted tanks, turrets,cold sentries, and commandos in the valley in front of the base. Kalianya's and Jay'daa's attack placed the base on alert, and the sentries rushed for cover as the main doors to the bunker rumbled closed. Darth Makiaio called in an orbital bombardment. Aboard the bridge of the flagship, sensors alerted the crew of the emergence of a Republic fleet from hyperspace. The Republic fleet consisted of a capital ship and 4 corvettes, and 2 cruisers, easily outnumbering the Resurgence and its two destroyer escorts. Alarms blared as the bridge scrambled to meet the threat. As the Imperial vessels took fire, Lord Manluas revealed a prototype weapon he and Darth Mhorbane had developed that could take out a capital ship in one heavily charged shot. They used it on the enemy capital ship. Rynn was able to slice into one of the cruisers and commandeer every droid in the vessel, issuing commands for the droids—astromech droids, mouse droids, and medical droids alike—to kill the entire crew. The bridge received the request to conduct an orbital bombardment and told the ground team to hold until it could do so, finding little reprieve in the Imperial fleet's fierce fight above Hoth. The ground team waited impatiently as they heard snippets of the fight by the Infiltration team within. Finally, the bombardment from space came, destroying tanks, turrets, and the main door. Added to the deadly flurry was the arrival of Republic droid bombers sliced by Rynn. The strike team rushed the main entrance, meeting six of Korvus' best commandos dug in behind portable shields. A fierce battle ensued. Darth Makiao and Lord N'yssa led the way, taking fearsome fire form the commandos, with Apprentices Korkalin and Cathlean, and the Order's mercs providing the punch to eliminate them and enter deeper into the base. They were met by 6 of the Mark 2 Infiltrator Droids. The main strike team saw the droids before them deactivate and made their way further into the base, encountering 6 more commandos and a Jedi. They fearlessly engaged. The Jedi dropped down on Makiao and N'yssa, who engaged him. Aboard the bridge, the destruction of another cruiser caused the corvettes to retreat. The bridge then contacted the ground team to determine if they needed additional support. It sent shuttles to evacuate them from the surface. Kalianya found the young female slicer in a labcoat attempting to hide. Lyda spotted Kalianya and drew a pistol in a shaking hand. Kalianya deactivated her own cloaking device and attempted to convince Lyda to surrender, that there was no need for her to die. Lyda sobbed that she did not want to be tortured by Imperials, and Kalianya replied she would not if she would work for Kalianya. Seeing no options, Lyda surrendered. The main strike team continued to fight the Jedi and commandos. Makiao was barely standing and N'yssa was taken to a knee, unable to continue to overcome wounds that would have killed a lesser combatant. Jay'daa emerged from her Force cloak and healed N'yssa with the Light side of the Force. The Order's mercs, along with Korkalin and Cathlean, dispatched the commandos as Makiao and N'yssa overcame the Jedi and killed him. Two commandos finally surrendered. Makiao ordered their deaths. Jay'daa balked at attacking unarmed combatants, but Korkalin was happy to comply. As he approached the two commandos, they saw their deaths and pulled grenades. Cathlean summoned a Force barrier to protect the team as the commandos died in the ensuing explosions. Major Kvelt announced that a support team had been deployed to extract data and secure prisoners, enabling the ground team to return to the flagship. We're focusing recruiting on non-Sith, especially Agents! While we'll readily take any RPers who fit our guild, we have found that we lack the agents to fulfill all of their missions and to create the immersion of an agent network. Our agents also make use of mercs, and we have a couple of Mando'a who ICly represent a small clan that allied with us. Our latest combat event Saturday night. Lord N'yssa called available members of the Order to the bridge. She told them the fleet had arrived again at Klatooine several hours ago and ground forces had been deployed, led by Lord Korkalin and overseen by Darth Talorn, who expected the assault team to shuttle to her for a briefing. Once on the surface, the team noticed a thick black cloud in the air, the result of the Hutt forces burning their refineries to provide perceived cover from orbital barrages. The air was thick and acrid, burning throat and eyes alike. The spaceport had been taken without resistance by the Order's ground forces, with Lord Korkalin establishing a base camp. Darth Talorn had occupied one of the buildings for the briefing. Once everyone had shuttled to the surface, she began. Talorn described how data from the terminals in Nargo's first palace indicated an expedition was intercepted in possession of Rakata tech while trying to leave Klatooine. Nargo's torturer killed the entire expedition except one man while interrogating them on where they found the tech. The rogue Sith was hired to read the remaining man's mind to find the site of the tech. The torturer was fed to a rancor. 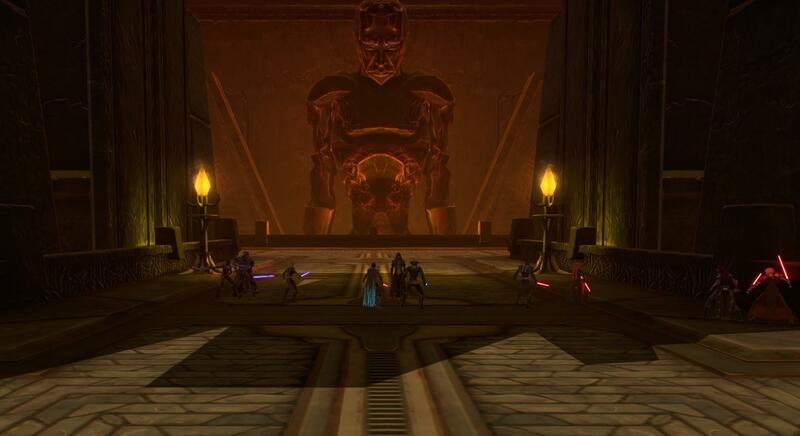 Talorn indicated the Sith lord and a Rakata datacron were located at Nargo's second palace. She said the mission was to assault in force and capture the Sith, obtain the datacron, and locate anything that would reveal where the Rakata tech site was. Lord Korkalin briefed that the ground forces had pushed to the second palace with little resistance. The palace seemed abandoned on the outside, and it was likely they had established defenses for a final stand within the palace itself. The thick smoke made it impossible to run accurate sensor scans of the building, but the ground forces were on site watching. Darth Talorn seemed preoccupied and anxious, unlike her normal eager self on the even of battle. She remarked at a strange feeling, and a feeling of unspeakable anger she could sense. Darth Mhorbane stated he could sense it, too. The assault force took ground transportation to the second palace. As advertised, it looked empty, with abandoned fighting positions and litter strewn about. The scouts indicated nothing amiss. Lord Korkalin claimed theor opponents' backs would be against a wall, ready to fight. The assault force entered the courtyard, whereupon the ground fell away, revealing a massive pit with a ramp. A rancor, twice the size as normal due to centuries of breeding, emerged. It had durasteel plates welded to its skin. It's eyes showed a bersekr fury. It charged into the group, narrowly missing Darths Mhorbane and Ahkos, who manned the front lines. At the same moment, four Mando'a dropped in from the upper reaches of the palace on jet packs, landing in two fighting positions as rockets thundered from their suits to strike at Mhorbane, Ahkos, and Talorn, who avoided any damage. Eight thugs also emerged in the doorway and let off a barrage of blaster fire. most of which was deflected, though some of the members were hit. The assault time mostly focused on the rancor. Lord Korkalin yelled that the apprentices were no match for the rancor and should focus on the other foes. Darth Talorn agreed and called for the darths and lords to attack the rancor. Talorn herself attacked the thugs with a storm of lightning. Between her and some of the others, the thugs were quickly dispatched. Many of the team got lightsaber, lightning, and blaster hits on the rancor. As it roared in defiance, it stomped on Ahkos, a quick shield from the veteran darth saving him from being crushed completely. It picked up Mhorbane, threatening to crush him and throw him into a wall had he not used his lightsaber on its claw to release himself from its grasp. Still, Mhorbane was tossed and lost consciousness a moment. Talorn watched her Master get thrown and saw him unmoving, and her distraction caused her to take a blaster shot from a Mandalorian right in the chest. Still, she rushed to Mhorbane's aid, calling upon dark Sith magic to heal him. Dex and Lord N'yssa arrived late on a shuttle, leaping into the fray. The team split its attention between the Mandalorians and the rancor, as Eiriker took a foerce hit from the rancor, and Korkalin, Cathlean, Kalista, Solus'kas, Thundaga, Dex, N'yssa, and Ruree struck the rancor again and again. Mhorbane awakened in a dark rage and coordinated a lightning attack with Talorn to strike the rancor's head, almost incinerating it's head and blinding it. Mhorbane told the team he trusted they could finish the rancor as it thrashed blindly and madly around. It stomped on Korkalin but was otherwise unable to find an enemy to pulverize. The two surviving Mandalorians engaged the team with flamethrowers, lighting Solus'kas on fire. Solus'kas, Kalista, and N'yssa finished them off, and the team finally felled the giant rancor, with N'yssa striking the final blow. The team took stock of its wounded and then charged the palace. In the throne room, a group of frightened thugs had taken refuge behind a table and threw a handful of grenades at the team, which had packed tightly in the hallway. Kalista, Thundaga, and Eiriker all were taken down in the blast, but Cathlean's and Talorn's shields (also enhanced by Kalista), kept most of the team safe. Rusty droids also shot at the team, and two ferocious Nexu were unleashed, pouncing into the front lines made up of Ahkos, Korkalin, N'yssa, and Talorn, whose sabers were all drawn and ready. The team was able to bring down the opposition without further losses. Lord N'yssa went to seek the rogue Sith while Talorn and Cathlean attended to the wounded. N'yssa found a terminal and a pallet in a room that reeked of the Dark side. The rogue Sith had interrogated the last man from the expedition here and had apparently deleted the information on the terminal and left, perhaps with the Rakata datacron. Dex found that the terminal had been deleted but still had residual data that could be reconstructed with time. He was instructed to take the terminal's data arrays with them. The team then withdrew to the flagship as the ground forces moved into the Palace. Zylar instructed Allial to extract everything she could from the data arrays and attended to Dex's wounds. Talorn instructed Korkalin he was fully in charge of the efforts on Klatooine to find the site. She then spent the night watching over her apprentice, who required surgery in the med bay, her expression breaking from its regal impassivity as she watched her young apprentice sleep. 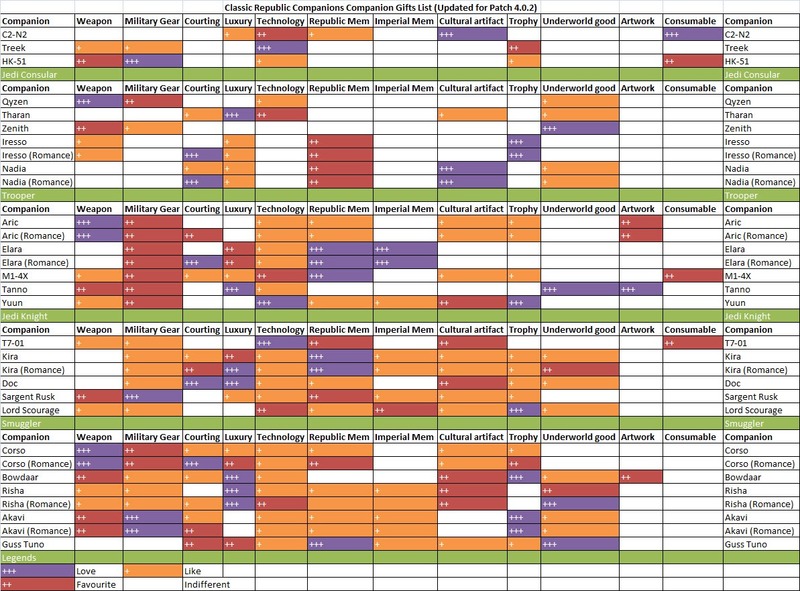 We're still active and have a metaplot we developed early in the year which almost seems as if the Devs had in mind when they devised the story for the new expansion. The Order will be split in two different places, far away from one another, with their own story arcs. This will likely go on for a couple of months. I don't want to drop spoilers from the expansion, but our story is heavily tied in. 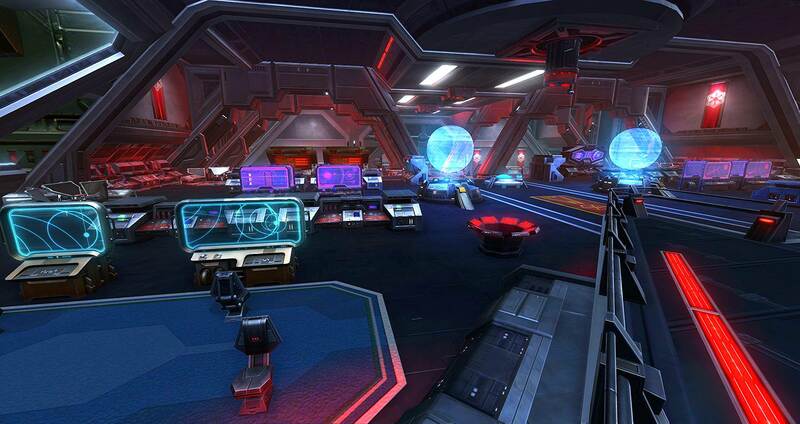 The state of affairs has changed dramatically following the Zakuul invasion. Imperial Task Force 5963, codenamed Resurgence, now operates discreetly from its base on Tatooine, joining the underground resistance against its Zakuul oppressors. It maintains an informant network across the Empire, but primarily at the Academy and Imperial High Command, where it can seek like-minded Sith and agents to recruit. It also seeks mercenaries and hired specialists to augment its numbers. 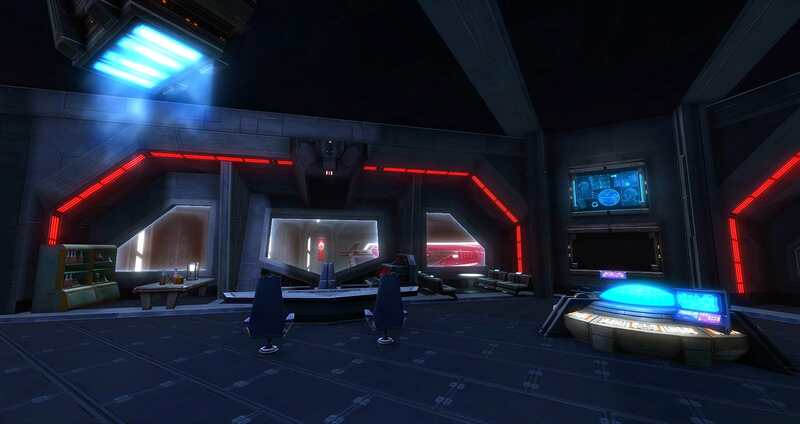 New recruits would be brought in secret to the base, which is a worn-down facility filled with communications equipment and captured Zakuul technology the Order is trying to study and reverse engineer. 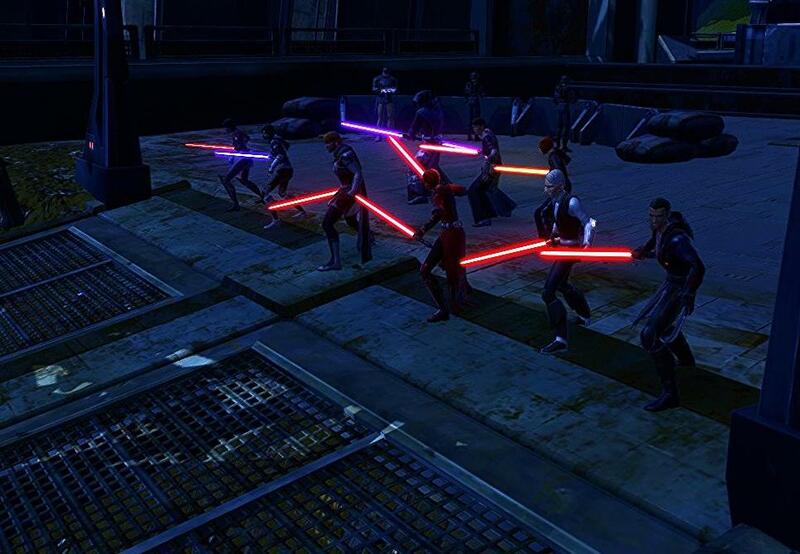 A few Sith and agents are augmented by battle-hardened soldiers and support personnel who have the haunted glaze of lost battles over their eyes. The days of generous pay and a vaunted status within the Empire are gone. 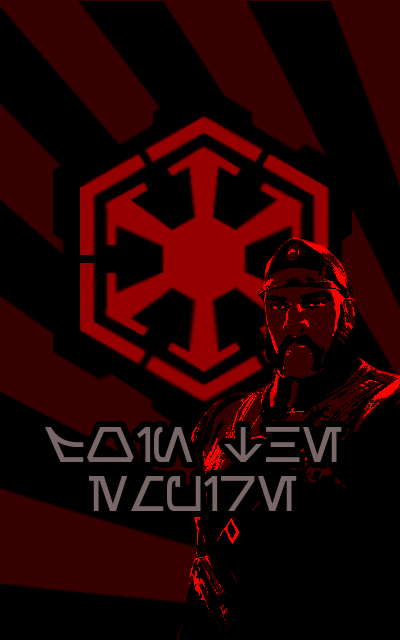 The Order operates on limited resources, its only lure to newcomers being its resolve to return the Empire to its own rule and revenge against the Zakuul.